Nearly three years after its 2011 launch, the Maruti Suzuki Swift hatchback facelift is all set to get a mid-life makeover in the Indian car market. The 2014 Swift will feature a mild facelift, which is aimed at adding some spice to the best selling B+ segment hatchback. The front end sees the addition of daytime running LEDs that surround the fog lamps while the front bumper and air dams see slight revisions. The alloy wheels adopt a new design while new colour schemes for the exterior paint job could also be in the pipeline for the facelifted India-spec Swift. The car is also likely to gain a few features on the inside, such as a push-button start system, automatically retracting wing mirrors and rear parking sensors. 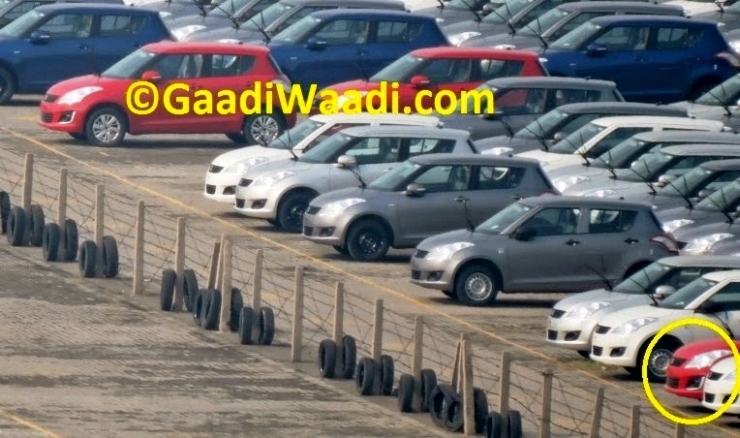 Production of the facelifted Swift has already begun at Maruti Suzuki’s Manesar factory and the car is lined up for a festive season launch. In terms of engine and transmission options, expect the Swift Facelift to retain the current line up of 1.2 liter K-Series petrol (86 Bhp-114 Nm) and 1.3 liter Fiat Multijet turbo diesel (75 Bhp-190 Nm) motors, with both engines using a 5 speed manual transmission that drives the front wheels. Like the Swift, the Dzire compact sedan is also expected to get a mild facelift in the coming months, with the mechanicals remaining untouched. Both the Swift and the Dzire are top selling cars in their respective segments and the updates are expected to further strengthen sales. The Indian B+ segment hatchback class now hosts a range of sporty offerings such as the Volkswagen Polo GT twins and the Fiat Punto EVO 90 HP. However, Maruti Suzuki isn’t expected to cater to the enthusiast end of the market with the facelifted Swift. 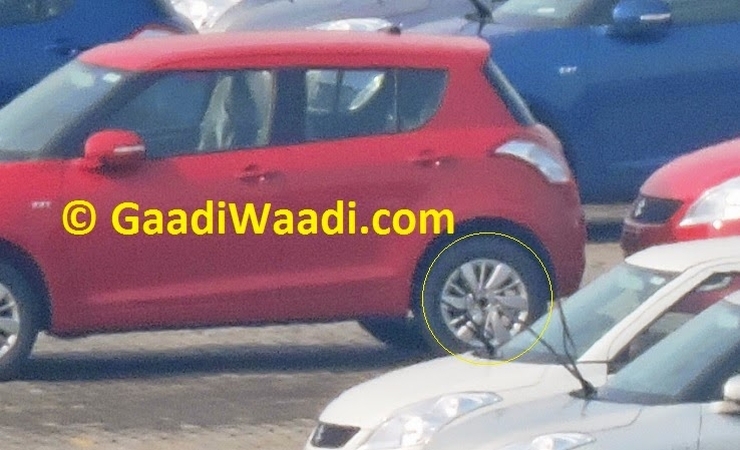 Instead, the upcoming 2015 YRA hatchback will fill this void for Maruti Suzuki.